For over 30 years, Huffman Engineering, Inc. has been providing engineering design and control systems integration to industrial and utility customers. With offices in Lincoln, Nebraska and Denver, Colorado, Huffman Engineering, Inc. provides service across the Midwest. From humble beginnings, Huffman Engineering has grown to a company with a wealth of experience and knowledge. 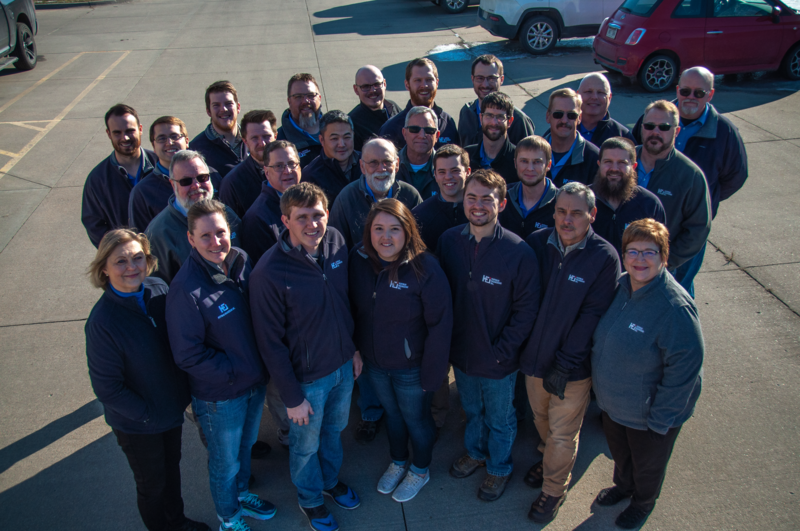 Huffman Engineering is large enough to handle numerous, complex projects but not so large that the team forgets to treat the customer like a partner. Our goal is to provide quality engineered systems and services to industrial manufacturing and utility customers through technology and understanding. Listening to customer wants and needs, and then making those ideas work is what we do best. Registered as a licensed engineering firm in Nebraska. Huffman Engineering, Inc. has been Control System Integrators Association (CSIA) certified since 2005. Huffman Engineering takes pride in being a Rockwell Recognized Process and Control System Integrator, Schneider Electric SI Alliance Partner, Siemens SI2 Integrator, Wonderware Certified Integrator, Ignition Certified System Integrator, and Kepware Silver Integrator. These certifications assure customers that the Huffman Engineering team has received thorough training and applied it to successful projects across multiple applications. Customers can trust Huffman Engineering to provide knowledge and expertise in current technologies. Huffman Engineering, Inc. provides training, tools, equipment, staffing, and flexibility to allow the work to be performed in a timely manner corresponding with customer timelines. At Huffman Engineering, Inc. we understand that quality is key during a project from start to finish. Huffman Engineering delivers services that meet and exceed customer and industry requirements. Following our project management V-Model, our staff works to design projects with objectives in mind and maintains a high level of information exchange with the customer throughout the project. Each project’s requirements and functionality is confirmed by rigorous testing to assure conformance to specifications. Find out more about Huffman Engineering in this TV clip.